Florida’s access to care deficiencies manifest themselves in a variety of ways. To start, there are only 52 dentists per 100,000 people in Florida, compared to a national average of 61 dentists.1 Additionally, roughly one in four Floridians – over 5.5 million – live in areas of the state where there are documented dentist shortages.2lorida’s licensure regulations create barriers to accessing dental care. The state dental practice act and Florida Board of Dentistry (FBD) control every facet of the dental profession, making it increasingly difficult for dental providers to adapt to Florida’s diverse and changing demand for dental care. The result is millions of Floridians not getting the dental care they need when they need it. Maximizing access to dental care is not simply a matter of ensuring Florida has enough dental providers, but also ensuring that it has the right types of providers and that they are well-distributed across the state. 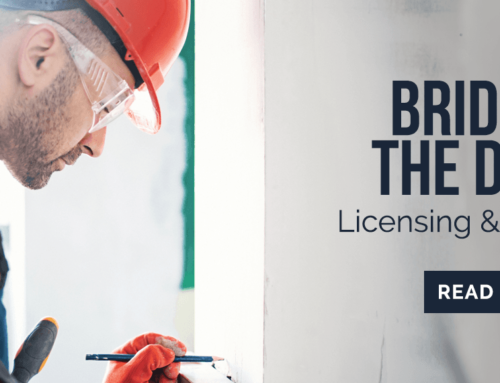 Government cannot determine which providers are needed in which quantities, yet the state controls the supply of dental providers through licensure regulations. A few states have identified the relationship between their licensure regulations and low access to dental care. Alaska, Minnesota, Maine, Vermont, Arizona, Michigan, Oregon, and Washington have all broadened their regulatory framework in some way to make room for a new dental workforce model: dental therapy. Dental therapists are mid-level dental practitioners, similar to physician assistants in primary care. Despite the positive results associated with dental therapy, special interest groups including dental associations oppose the concept because their members fear it will create unwanted competition. After the Commission on Dental Accreditation adopted education standards for dental therapy programs in 2015, the American Dental Association (ADA) released a statement in which they “firmly opposed…allowing non-dentists to perform surgical procedures,” referring to dental therapists.10 State dental associations, supported by the ADA, have lobbied extensively in other states to protect their turf at the expense of patient access and higher-than-needed overhead for practices that want to expand their teams. 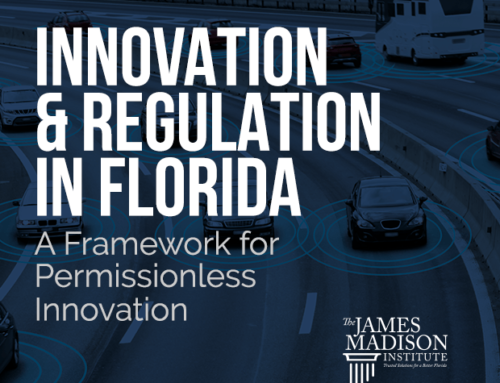 Florida policymakers should reform licensure regulations to grant dental providers the freedom to innovate. Florida’s population is rapidly growing and Floridians’ demand for dental care will continue to evolve. The best way to ensure Floridians have access to dental care is to let the market determine the number and types of Florida’s dental care providers. Allowing practices to hire dental therapists would be a significant step in this direction. There are currently 52 dentists per 100,000 people in Florida, compared to a national average of 61.11 One of the ways this lower ratio of dentists to the population is seen is in Health Professional Shortage Areas (HPSAs) – geographic areas, populations, and facilities in which the need for dental care exceeds the number of dental care providers. 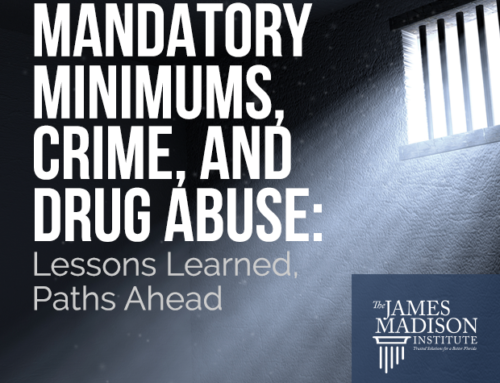 The U.S. Department of Health and Human Services (HHS) designates HPSAs. This means that combatting Florida’s dental care shortage is not simply a matter of producing more dentists and placing them in areas of need. Different dental providers have different scopes of practice, availability, and costs. For example, dental hygienists are generally more available than dentists, but their scope of practice is more limited. They can provide basic preventive care, but only dentists can provide permanent restorative care. However, dental hygienists are able to perform basic procedures at lower costs to practices than dentists. Florida’s dental workforce is not meeting the needs of the marginal patient. Many Floridians, particularly low-income and rural residents, children and the elderly, have limited dental care options and face significant challenges every step of the way. They have trouble finding providers and/or getting to the dental office. For these reasons, the marginal patient will not actively seek dental care unless it is exceptionally accessible. For example, they may require a dental practitioner who travels to meet them. It is important to note that dental therapists provide a mechanism to allow practices to offer care at a savings to the practice. Dental therapists do not set rates for procedures, but their overall cost efficiency allows a practice to see more patients at a rate that is beneficial to the provider and thus more patients receive quality care. While there may not be a one-size-fits-all solution to this problem, Florida policymakers should consider supply-side reforms that enable dental providers to fill the market gap. One promising solution is in the practice of mid-level dental providers. Mid-level dental providers, also known as dental therapists, are utilized in over 50 countries.14 Dental therapists are relatively new to the U.S., but studies consistently show dental therapists provide high-quality and safe care and can help reduce barriers to care for vulnerable populations.15,16 That is why over a dozen states have considered dental therapy legislation in recent years, and why eight states have authorized these providers in some form. Dental therapists are mid-level dental practitioners whose scope of practice is primarily focused on routine preventive and restorative care. They work within a dental team, under the supervision of a dentist, alongside dental hygienists and assistants. Dentists and dental therapists work together to determine their expectations, roles, and responsibilities. These are formalized through collaborative management agreements (CMAs) which allow each supervising dentist to specify a dental therapist’s allowable procedures, supervision levels, emergency protocols, etc. In 2015, the Commission on Dental Accreditation (CODA) adopted standards for dental therapy education programs. CODA is the sole agency recognized by the U.S. Department of Education to accredit post-secondary dental education programs.22 Three years of careful research, public hearings, and stakeholder reviews went into the development of the dental therapy education standards.23 Since then, states have incorporated CODA’s standards into their dental therapy licensure legislation, as a benchmark for dental therapists’ credentials. Dental therapists are a unique and innovative addition to the dental team. Their training can prepare them to practice under general supervision, which does not require a supervising dentist to remain on the premises. Dentists can expand their practice far outside the office by employing dental therapists. Their ability to travel and perform highly-demanded procedures, such as fillings and extractions, makes them particularly accessible for marginal patients. Utilizing dental therapists is also likely to create competition among dental providers, which could lower the cost of dental care for all Floridians. Alaska was the first U.S. state to use dental therapists for the Alaska Native population. In 1999, oral health surveys revealed drastic oral health disparities in Alaskan Native communities, many of which had no on-site dental services.25,26 Without a “comprehensive, long-term delivery structure,” the oral health disparity was sure to increase.27 To combat the dental care shortage in Alaskan Native communities, the Alaska Native Tribal Health Consortium (ANTHC), in collaboration with Alaska’s Tribal Health Organizations (THO), developed a pilot program to introduce mid-level dental practitioners.28 ANTHC and THO took inspiration from dental nurses practicing in New Zealand since 1921 and dental therapists in Canada. In 2003, the first Alaskan dental therapy cohort began training at the University of Otago in Dunedin, New Zealand. Upon completion, the cohort returned to Alaska and began practicing in 2005. Access to dental care has increased dramatically in Alaskan Native communities. Utilization rates and oral health outcomes have improved, and patients report high levels of satisfaction with the care they receive (see next section). Over a dozen states have considered dental therapy legislation, hoping to emulate Alaska’s success. Dental therapists can currently practice statewide in Minnesota, Maine, Vermont, Arizona and Michigan and can serve Alaska Native and American Indian populations in Alaska, Washington and Oregon. The success of the dental therapy model hinges on the ability to improve access to dental care. Since dental therapists were introduced in the U.S. in 2005, the data collected on their impact are powerful. The evidence reveals the dramatic, positive effects dental therapists have in their communities, and provide optimistic outlooks for the future. A professor at the University of Washington published the first long-term study of Alaskan dental therapists in August 2017. The study compared outcomes between communities with access to dental therapists and communities with none. It found that children in communities with high exposure to dental therapists had fewer front tooth extractions and received more preventive care. Adults in communities with the highest exposure to dental therapists also had fewer permanent tooth extractions and received more preventive care.33 Overall, the study shows a very strong association between use of dental therapists and improved oral health outcomes in underserved communities. Two case studies commissioned by the Delta Dental of Minnesota Foundation and conducted by Wilder Research explore private, for-profit clinics’ experiences with dental therapists. The clinics observed were Grand Marais Family Dentistry (GMFD) and Midwest Dental in Minnesota. Both clinics are located in rural areas and designated HPSAs. GMFD and Midwest Dental had positive experiences with dental therapists. Dentists have complementary relationships with their dental therapists, rather than competitive relationships. The evidence suggests that dental therapists benefit the clinics in which they work, and make the dental team more productive overall. 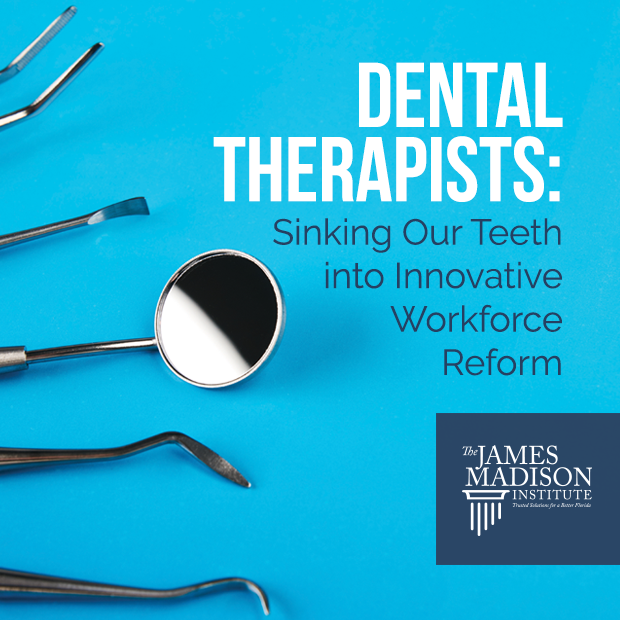 The dental therapy workforce continues to grow in the U.S. and there is good reason to be optimistic about its impacts. In the private sector, innovation is an effective way to combat market shortage. However, dentists are not free to innovate because dentistry is a heavily regulated industry. Utilizing dental therapists would allow Florida dentists to innovate within their practices and discover new ways to solve the dental care shortage. Florida should join Alaska, Minnesota, Maine, Vermont, Arizona, Michigan, Oregon, and Washington at the frontline of dental care innovation by allowing dental therapists to practice. Florida is home to a number of special populations that have unique oral health needs. Understanding these needs will help lawmakers understand the marginal patient populations in their state and craft a dental care delivery system with dental therapists that best serves those populations. Individuals’ dental needs change drastically as they get older. It is common for older adults to lose multiple if not all of their permanent teeth, which can make it difficult to chew, swallow, or speak.49 Older adults also have a higher risk of contracting dry mouth, root and coronal caries, and periodontitis.50 They may be hypersensitive to the drugs used in dentistry, partly due to the various prescriptions and over-the-counter medications they take. Older adults may also have cognitive impairments, including dementia, which affect their ability to maintain healthy oral habits, putting them at a higher risk for dental disease, oral infections, and complications relating to treatment. Florida has the highest percentage of older adults in the country, as it is a popular destination for snowbirds and retirees.51 Over 4.1 million Floridians are 65 years or older, amounting to 20 percent of the state’s population. Population projections estimate the number of older adults will more than double by 2020, increasing to 42 percent of the state’s population.52 The rapid growth of Florida’s older population will likely contribute to a future dental care shortage if workforce trends remain the same. According to the Florida Department of Health (FDH), 19.2 percent of Floridians aged 65 and older have lost all their permanent teeth.53 Of the older adults who have at least one tooth, 23 percent have untreated dental decay, 17.2 percent have a need for periodontal care, and five percent have a need for urgent dental care.54 Because they have a greater need for dental care, older adults typically have higher dental-related costs than younger populations. Of Florida’s 67 counties, 30 are designated rural areas.55 The total population of these counties is approximately 710,000, and an additional 1.1 million people live in rural portions of Florida’s urban counties. However, only 2.4 percent of general dentists practice in rural counties, many of whom do not accept Medicaid or CHIP.56 Thus, rural populations have significantly less access to dental care than urban populations. In addition to having a limited selection of providers, the closest available provider could be many miles away from rural residents, a substantial challenge for those with limited transportation. Rural residents also have more difficulty affording dental care than urban residents. The average per-capita income for Florida’s rural residents is $33,557, compared to $44,822 for urban residents.57 The poverty rate in rural Florida is 19.5 percent, compared to 14.6 percent in urban Florida. Rural residents who are dependent on Medicaid have even fewer options. An analysis by Georgetown University’s Health Policy Institute found that “Medicaid covers a larger share of children and adults in small towns and rural areas than metropolitan areas.”58 From 2008 to 2015, child Medicaid and CHIP enrollment increased from 43 to 57 percent in rural Florida.59 Rural adult Medicaid enrollment increased from 10 to 17 percent over the same period.60 The lack of dentists participating in Medicaid and limited coverage for dental services make accessing dental care particularly difficult for rural residents. One of the most expensive places to receive dental care is at a hospital emergency room (ER). In fact, dental-related care in an ER can cost up to five times more than equivalent or superior care in a dental office.61 Unfortunately, many uninsured and underinsured patients seek dental treatment from ERs because they know they will receive immediate care. Some wait until their dental disorders escalate to an emergency, others visit the ER regularly for non-traumatic dental conditions (NTDCs). Dental-related ER visits are usually preventable with routine treatment from a dental practitioner. Dr. Tomar explains, “[ERs] generally are not equipped or staffed to provide definitive dental services, and most patients attending for a dental complaint receive only temporary palliative care in the form of analgesics and antibiotics.”71 It is imperative that Florida policymakers find a solution to address overuse and inappropriate use of ERs, as they are costly to patients and taxpayers, and they do not offer comprehensive dental services. Organized dentistry’s opposition to dental therapy traces back to the 1940s. In 1949, a program was established in Boston, Massachusetts to train dental hygienists in restorative care. 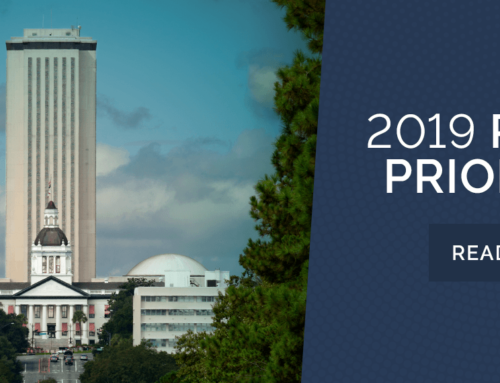 The ADA pressured the state legislature until it eventually shut the program down.74 Florida lawmakers can expect a similar reaction from the ADA and FDA toward dental therapy legislative efforts. In fact, the FDA has a long-standing record of anti-competitive behavior, even towards initiatives that expand access to dental care. In the 1990s, the University of Florida (UF) owned and operated several dental clinics across Florida and formed partnerships with several community health centers and other safety net clinics. Approximately 90 percent of the patients treated in these clinics belonged to underserved populations.75 UF students would travel and practice at these clinics in two-week intervals, performing within a limited scope of practice. The program gave UF students the opportunity to gain clinical experience in public health settings and treat underserved patients. It was also a way for UF to experiment with an alternative delivery system to expand access to dental care. The FDA has enormous influence over Florida dental providers and in the state legislature. It will be actively lobbying the legislature to reject any dental therapy proposals. It remains to be seen whether legislators will make evidence-based decisions in considering dental therapy authorization. Floridians for Dental Access unites the people willing to educate, hire, and work with dental therapists—to make dental therapy a reality in Florida. The only thing standing in their way is Florida’s restrictive licensure regulations. The state dental practice act (Chapter 466) and the Florida Board of Dentistry (FBD) control every facet of Florida’s dental profession. First, the dental practice act does not recognize dental therapy as a profession. Second, dentists can only do what the FBD explicitly authorizes them to do. Everything outside of the FBD’s regulations is prohibited, including activities that are not explicitly prohibited. Currently, the regulations are silent on dental therapists, rendering them off-limits. The demand for dental therapists arose naturally, and it will continue to grow naturally. Florida might have had dental therapy 70 years ago, possibly earlier, if licensure regulations and organized dentistry’s political clout had not made it impossible. It is time for anti-competitive special interests to step aside and let Florida policymakers allow dental therapists to practice freely alongside dental providers. Dental licensure regulations form the framework in which dental therapy must reside. They largely influence the effect dental therapists can have in expanding access to care in Florida. If the framework is too rigid, many underserved Floridians will go without dental care. If the framework is flexible, dental therapists will be accessible enough to meet the needs of marginal patients, and lower the cost of dental care through competition. The following table lists key components of the dental therapy workforce model, and offers insight into how corresponding policy might influence dental therapists’ effectiveness. Dental therapy is not a one-size-fits-all solution. It is a market-based, supply-side reform that empowers dental providers and offers patients an alternative care delivery system. For many marginal patients, utilizing a dental therapist is more accessible than visiting a dentist and possibly the only way they will receive dental care. Furthermore, dental therapy has the potential to decrease the cost of dental care by creating competition among dental providers and allowing them to reduce their fees due to lower labor costs. If Florida lawmakers want dental therapists to serve the underserved, they ought to ensure that the licensure regulations are not too cumbersome. Over the course of the next 10-20 years, by all estimations and projections, Florida’s population will continue to explode. Currently the state’s population grows by more than 1,000 residents every day. In the context of this growth alone, Florida policymakers will face serious and substantive decisions regarding access to and delivery of health care services. Our collective goal must be to expand the supply of those delivering care, and patients’ access to those practitioners. Dental care should be among the top priorities. Research and countless anecdotal examples prove that regular and consistent dental care improves long-term health and lowers risk for cardiovascular disease, dementia, respiratory infections, and diabetes complications, among many other conditions. Poorer, largely rural populations in Florida are far more likely to be at risk due to access challenges, and policymakers can in fact make a profound difference in this area. The single most impactful way that policymakers can improve the overall trajectory of dental care in Florida is to embrace the innovation present through allowing dental therapists to practice their services. Such a policy innovation would increase the number of qualified providers, improve the capacity of dentists currently practicing in the state, and encourage the development of new highly-skilled health care workers. On the patient side, more Floridians would have the ability to receive quality dental care, adults and children from poorer and rural communities would be far likelier to seek care before more difficult health challenges arise, and we would model for other states what a practical, market-based health policy reform can accomplish.